I will never look at trees in the same way again. Most among us look out at a forest and see greenery. Some people may be able identify a tree species or two but most of us don’t give much thought to the beings that far outnumber humans on Earth. 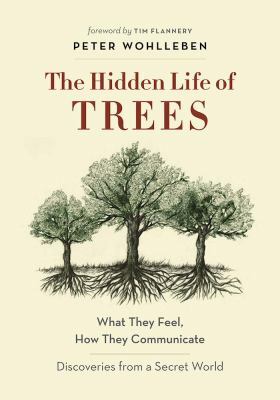 The Hidden Life of Trees by Peter Wohlleben explores the intricacies of trees in a humorous and lively narrative. It is only a surprise that trees have social structures and can care for other trees because of the way we are taught to think (or not think) about them. It makes sense. 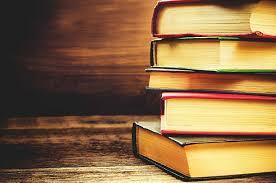 They’re living organisms like other living creatures that have evolved to survive over millennia. Why wouldn’t they be complex organisms with the capacity to interact with one another in both communal sharing and competition? He explores how mycorrhizal fungi play important roles in soil biology and chemistry. Plants and fungi created a symbiotic relationship long ago and the details of their nutrient exchanges are cool enough alone. He also talks about the fungal strands acting like fiber optic cables to form a network not quite like James Cameron’s Avatar but amazing nonetheless. Thanks to Wohlleben, when I see single trees of a species alone in a park or surrounded by concrete, I think “street kids” and when I look at the giant oaks in my neighborhood, I think, “It’s a family! I wonder which one’s the mother?” and “How old are they really?” I noticed the leaves of a neighborhood tree turned color in the fall on the side not exposed to a streetlight but not the other. This had escaped my notice before. Wohlleben goes too far in anthropomorphizing trees at times. He didn’t need to do this since his subject matter and the way he relates is are compelling enough. Yes, he turned the seemingly dry subject of woody plants into a lush account of the complex inner lives of trees and along the way, we learn why this subject is important to all of us and our future. Bad Behavior has blocked 2023 access attempts in the last 7 days.